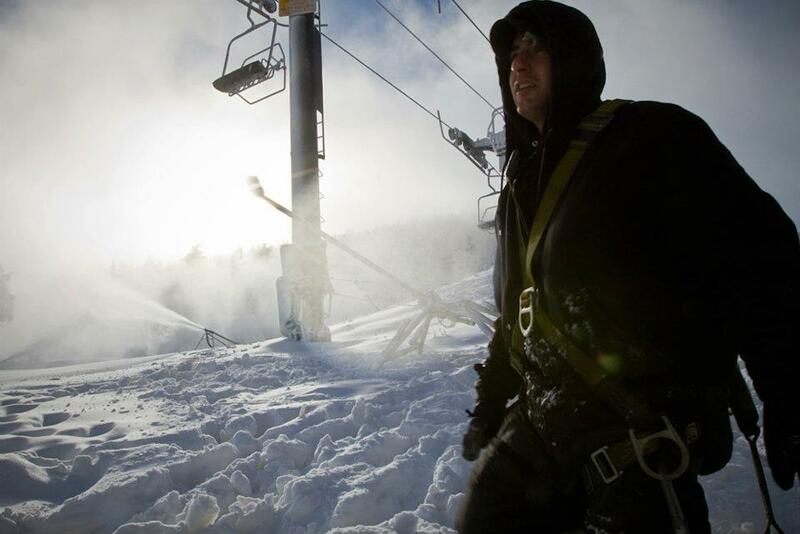 With 6+ inches of natural snow and snow guns fired up, Killington announced today that they will be opening this weekend (October 29 – 30) for the beginning of the 2011 – 2012 season. Woo-hoo! KILLINGTON, Vt. (October 28, 2011) Vermont is open for business! Killington Resort welcomes skiers and riders back to the slopes for the kick-off of the 2011-12 winter season on Saturday, October 29, 2011, nearly nine weeks after tropical storm Irene devastated the Northeast. Thanks to Mother Nature, Killington received nine inches of natural snow in the last 24 hours and our dedicated snowmakers will continue to make snow as well as expand the terrain as long as conditions permit. “It’s incredible to see how quickly Killington Resort and our surrounding communities have been restored after the damage brought by tropical storm Irene,” stated Chris Nyberg, president and general manager for Killington Resort. “All roads leading in and out of Killington have all been repaired and we are proud to provide our guests with early season skiing and riding,” added Nyberg. Skiing and riding will be on advanced terrain only on the un-groomed Rime trail, providing roughly 600 vertical feet of terrain. No beginner terrain will be available at this time. Hours of operation will be 10:00 a.m. to 4:00 pm on Saturday and 9:00 a.m. to 4:00 p.m. on Sunday. The K-1 Gondola will provide uploading and downloading, while access from the top of the K-1 Gondola down and up from the skiing and riding terrain will be via a short walk on the Peak Walkway. Early-season lift tickets are $39 for adults (19-64), $33 for Young Adults/Seniors (13-18/65+) and $27 for Juniors (7-12). Season pass holders who have not activated their passes may do so at the Snowshed Sales Center beginning at 9:00 a.m. Saturday, October 29. Beverages, hot dogs, chili and light snacks will be available for purchase at the base of the North Ridge Triple Chair and the K-1 Lodge will be open for ticket sales, lunch, guest service, retail and restrooms. Killington Resort anticipates skiing and riding on the upper mountain terrain through Sunday, October 30. Our crews will re-evaluate the conditions on Sunday afternoon and determine the operating schedule for the following week. Check www.killington.com each day after 4:00 p.m. to see if we will operate the following day. Photos and video are available, please contact Sarah Thorson at [email protected] with any requests. Additionally, check out a live shot from Killington’s HD web cam.